If you have not heard, Asia’s luxury cruise liner Dream Cruises is the holder of the Guinness World Records for Largest LEGO Brick Ship. The record was affirmed by Guinness World Records’ adjudicator last November at Kai Tak Cruise Terminal in Hong Kong. 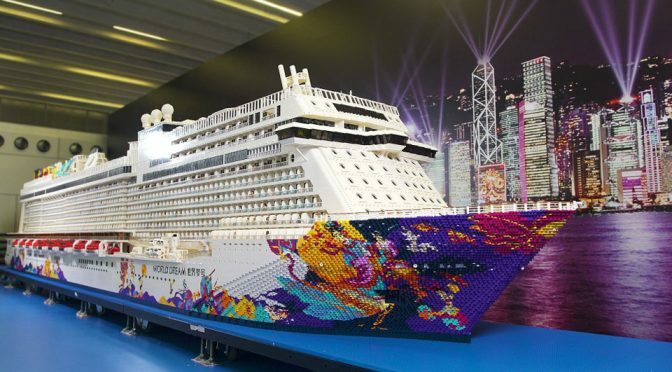 The LEGO cruise liner sculpture, which was modeled after the cruise liner’s 18-deck mega ship World Dream, took two months to complete and it was the fruit of 1,000 cruising guests, members of the public, and the first LEGO Certified Professional in Greater China region, Andy Hung and his team. 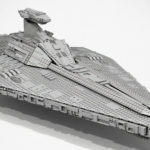 All told, this LEGO behemoth packed over 2.5 million LEGO elements (or 2,518,266 bricks, to be precise) and tips the scales at a whopping 2,800 kilograms (that’s over 6,190 lbs!). 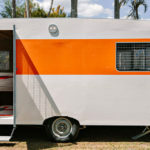 It measures 8.44 mm long, 1.33 meters wide and stands 1.53 meters (27’ 8.5” x 4’ 4.4” x 5’ 0.6”), smashing the record previously set by Danish shipping and transport service company, DFDS A/S, in 2016. 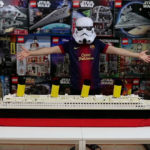 It is worthy to mention, though not taken into considerations by Guinness World Records, the enormous LEGO World Dream Cruise Liner does have a lot more details, including the playground, shopping mall and what not. 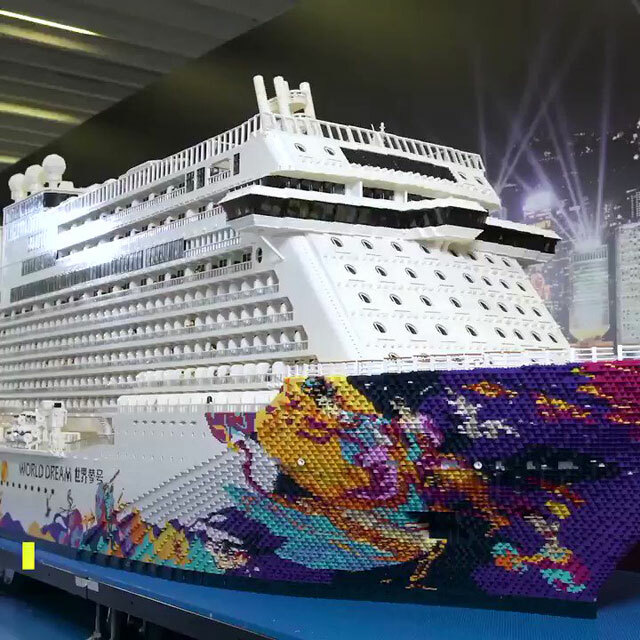 The replica of the graphics on the actual cruise ship’s bow made up entirely with LEGO elements is in itself a sight to behold.